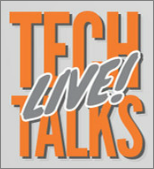 This summer I've been fortunate to have been invited as a panelist *twice* for "Tech Talks Live" - a live webcast covering hot topics in SMB IT. Each episode of TTL focuses on a particular subject and includes a "Future Tech" segment that asks "Where is this technology heading?" The "Future Tech" segment is my favorite as it provides an opportunity to briefly outline my reasoning (narcissistic, I know) for a particular direction of tech development. I outlined one "Future Tech" idea in my recent "Smart Will Go Dumb" post. Today I was contacted by a startup that's been working hard at leveraging 3D printing for profit. The business idea is basic but intriging -- something that's just begging for a company to "get there first" and become entrenched as the segment leader. The information I have on this company and its business model is interesting but not very detailed -- I've asked the company for specifics on how it intends to handle product customizations (the core of the business and the reason for using 3D printing) and what steps and commitments prosepctive customers will be subjected to. Is a deposit required to initiaite a design? How many times can a customer ask for a design change? What if the customer is not satisfied with the proposed design(s)? Etc. I really like the core idea this startup is pursuing but I've decided against mentioning the company's name or product until I know more. Hopefully the startup will provide sufficient detail for review and, perhaps, even serve as the subject of my next "Future Tech" discussion.